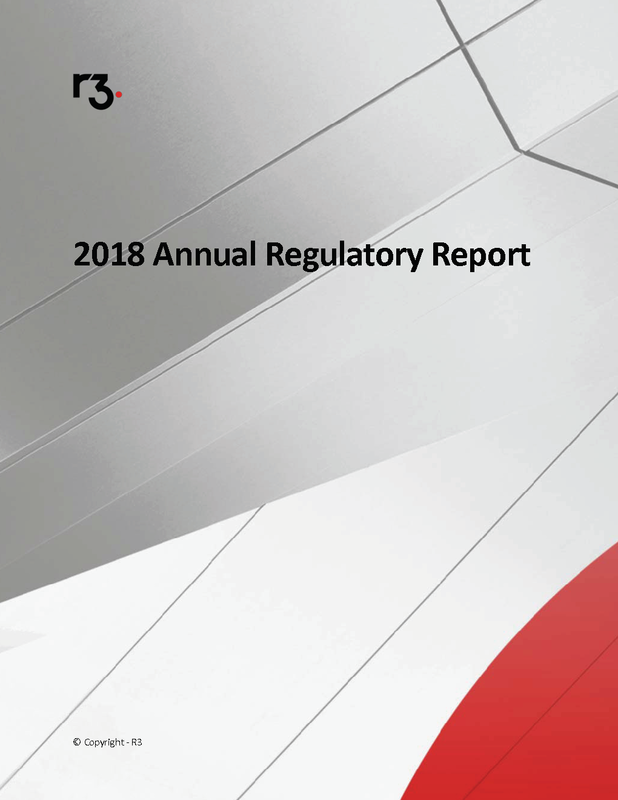 R3 Research provides compelling analysis and insight into the enterprise blockchain industry and specific practical applications across cash, payments, capital markets, trade finance, insurance and identity. Sign up for our research mailing list below! Click each title below to read the abstracts and download the public papers. Stablecoins are blockchain-based payment instruments that aim to eliminate the volatility of cryptocurrencies. So far, stablecoins have seen significant use within the cryptocurrency ecosystem. Yet stablecoins have also been proposed as a payments solution for enterprise blockchain use cases. 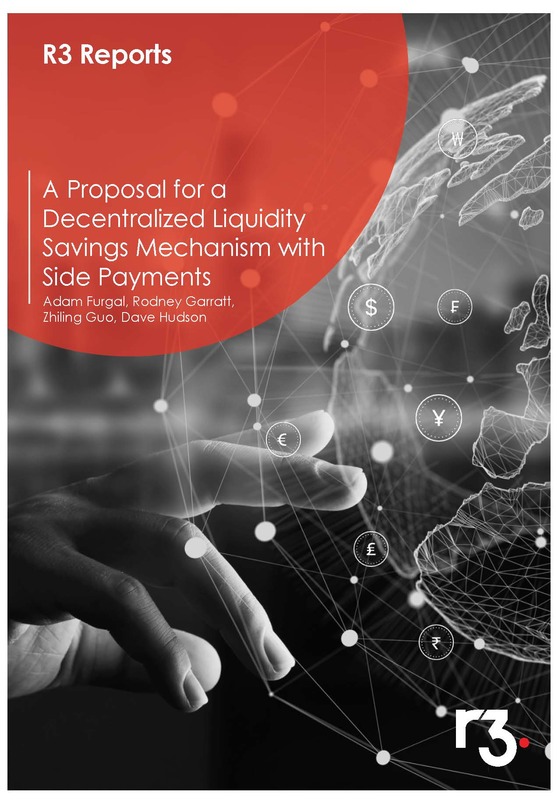 This paper provides answers for why businesses and financial institutions do not currently use stablecoins, and proposes how these instruments or future iterations may fit into the existing financial system. What would it look like if Brazil introduced a central bank digital currency (CBDC) for use by the public? This paper will focus on three potential archetypes: 1) a simple electronic version of the banknote; 2) an account-based CBDC that pays interest, and; 3) digital interest-paying cash that can be shielded and unshielded to provide for anonymity. This paper presents the case for aligning retrospective intraday liquidity management, which relies on historical data, with active intraday management, which includes forecasting, pre-positioning and borrowing. 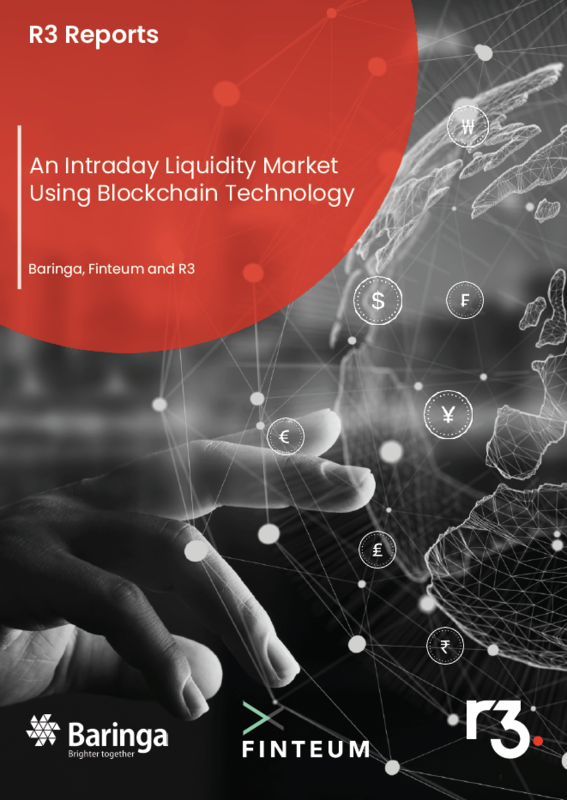 It proposes and describes the parameters of an intraday market solution using distributed ledger technology to help financial institutions better manage their intraday cash flows. Building Blocks for Better Compliance: Can Blockchain Decrease the Burden of Financial Regulations? Regulatory oversight within the financial services industry increased dramatically after the 2008 global financial crisis. Many new policies required more data submission in less time. Blockchain has the potential to provide a holistic solution for regulatory reporting. This paper examines the current methodologies for regulatory reporting and considers both a theoretical and technical blockchain solution in the context of the European regulation MiFID II. Blockchain technology can enable the creation of decentralized KYC platforms. The correct platform architecture is one that maintains direct customer-bank relationships while avoiding the pitfalls from centralizing parts of the corporate KYC process. The author explores two different decentralized approaches: a self-sovereign approach and a bank sharing approach, and then addresses the advantages and disadvantages of a decentralized platform relative to a centralized utility. Digital Islands in Trade Finance: Can a Decentralized System Solve the Network Problem? Blockchain has the potential to eliminate data siloes in trade finance and enable existing innovations to scale if application builders incorporate the lessons from past attempts at innovation. This paper uses a network model of technology diffusion to explain the persistence of digital islands, then applies this model to blockchain in trade finance. This enables us to draw conclusions about the conditions which facilitates global diffusion, and to answer the question “why blockchain?”. Legal recognition of electronic documentation will be a key enabler of blockchain-based trade finance applications. Currently, there is no U.S. regulation or law that adequately recognizes electronic versions of negotiable instruments as such. This paper sets forth the legal obstacles facing the use of electronic negotiable instruments in a decentralized system, and considers the feasibility of creating a rulebook as an interim solution. 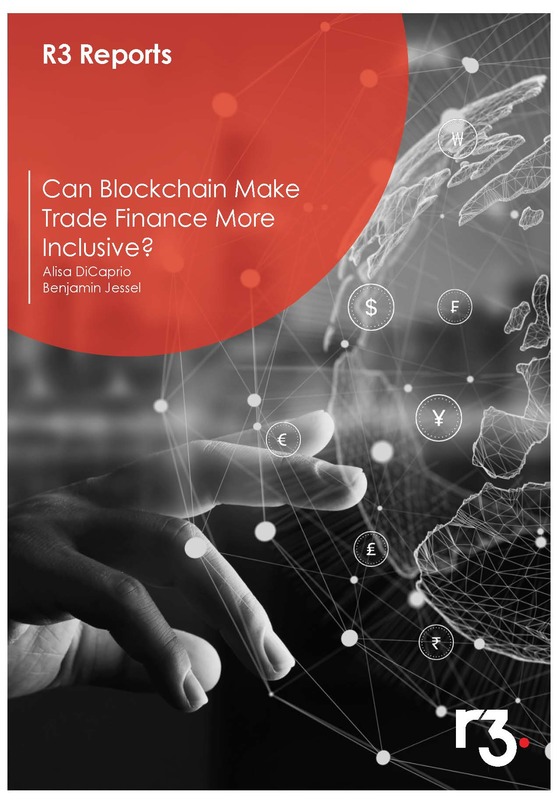 Can Blockchain Make Trade Finance More Inclusive? 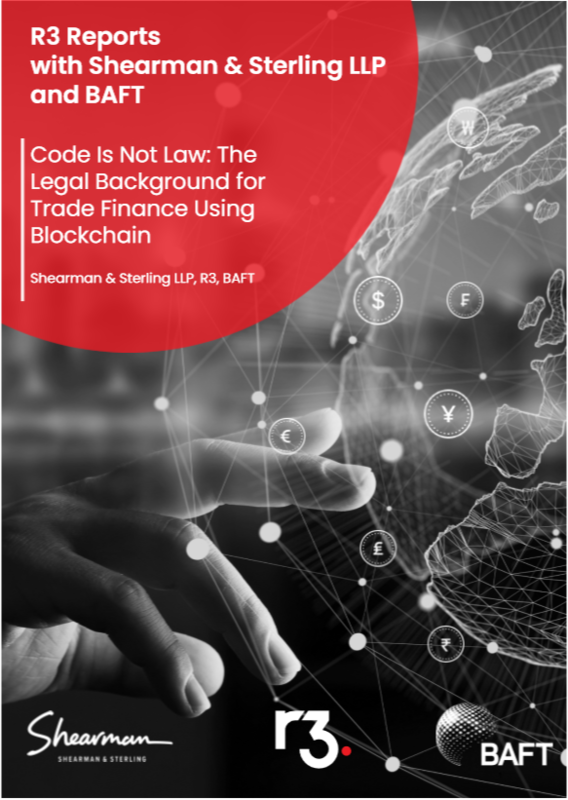 Applying blockchain technology to trade finance will directly impact the flow of information, compliance challenges, and profitability in ways that can contribute to a more inclusive trade finance structure. 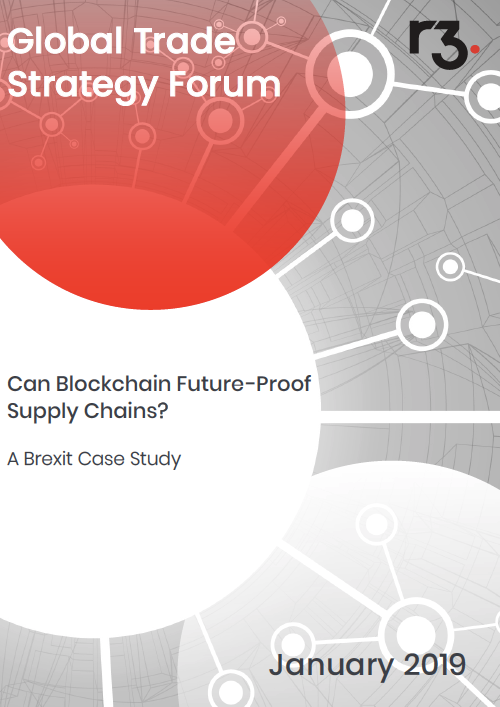 In this paper, the authors review the design of enterprise blockchains to explore how changing the architecture of trade finance could impact the drivers of trade finance gaps. Liquidity Savings Mechanisms (LSM) are implemented in large value settlement systems by central banks around the world to reduce liquidity demands from interbank wholesale settlement. In this paper, the authors discuss a proposal for a decentralized LSM that could better reflect market conditions in real time, and help to solve some problems inherent in current centralized systems. 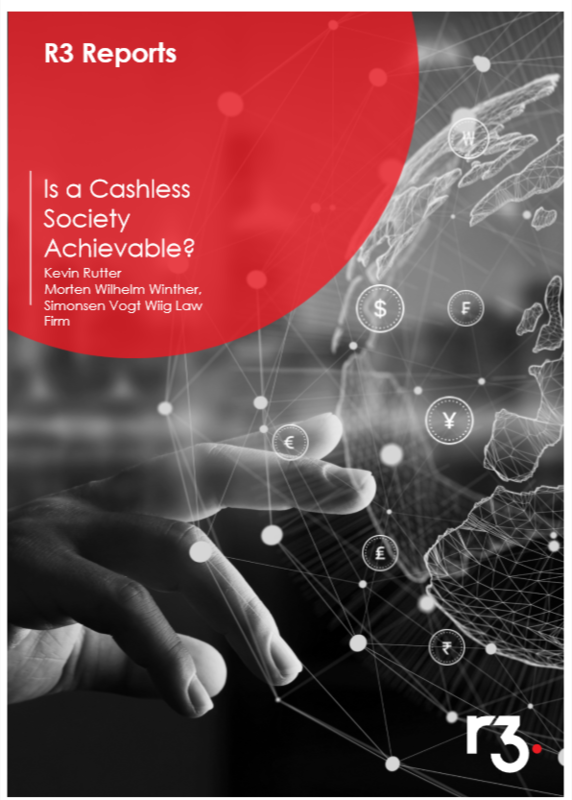 Given consumers’ love of cash, what are the steps that would need to be taken to promote a cashless society? In Nordic countries and particularly Norway, consumer preferences in have driven down the use of cash. 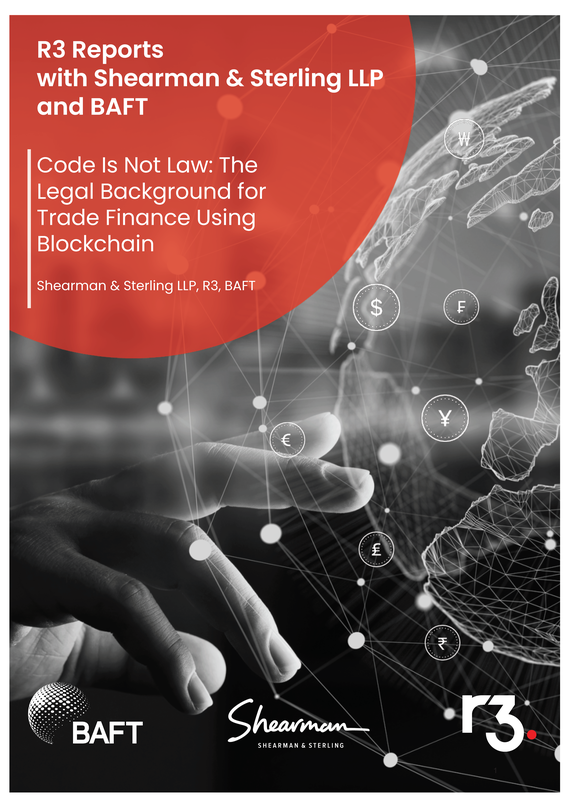 This paper starts from this baseline and considers the legal obstacles that need to be addressed as well as how a central bank-issued digital currency (CBDC) can be built on R3’s Corda. There is no clear approach for how cross-border settlement would work on blockchain. Interbank payments between currency zones still require correspondent banking relationships or Continuous Linked Settlement Accounts. This paper explores several cross-border settlement options on blockchain, and evaluates each model based on various risk factors and policy implications. With the potential existence of multiple blockchains, interoperability across chains is a key concern. This paper explores various strategies for interoperability, and considers security and governance models in the financial services industry that may be impacted by increased interoperation. It also includes examples of interoperability across different financial use cases. The European General Data Protection Regulation (GDPR) comes into effect on 25th May 2018. This paper assesses if and how the GDPR applies to public and private or consortium blockchains. The paper focuses on the crucial question of whether blockchains fall within the scope of GDPR, especially if personally identifiable information is processed. The paper proposes that this is most likely true and that with public blockchains the data is not simply anonymous. Finally, the paper describes the main obligations and requirements under the GDPR by which blockchain companies must abide. 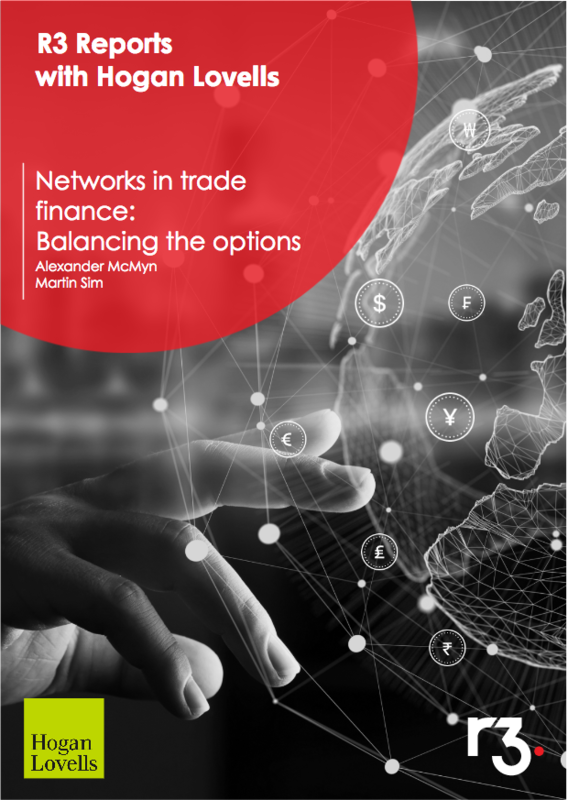 Is a single global network or are multiple business networks the right structure for a distributed ledger ecosystem for trade finance? This paper considers the trade-offs between a single universal global network versus multiple business networks. Maintaining data quality, reconciling trades, and exchanging assets between financial institutions using legacy information technology (IT) systems is expensive, slow and complex. Given the costs of integration and interoperability, this paper argues that distributed ledger technology product competition at the application level is more critical than competition at the platform level. By building an ecosystem on top of a platform, financial institutions can benefit from network effects and address historical IT complications. Commercial and specialty insurance contracts and the resulting financial transactions between counterparties are both complex and costly to administer. Blockchain-based platforms can reduce costs in the core Accounting and Settlement processes by coordinating shared processes and reducing complexity, while also facilitating the final payment netting between counterparties. 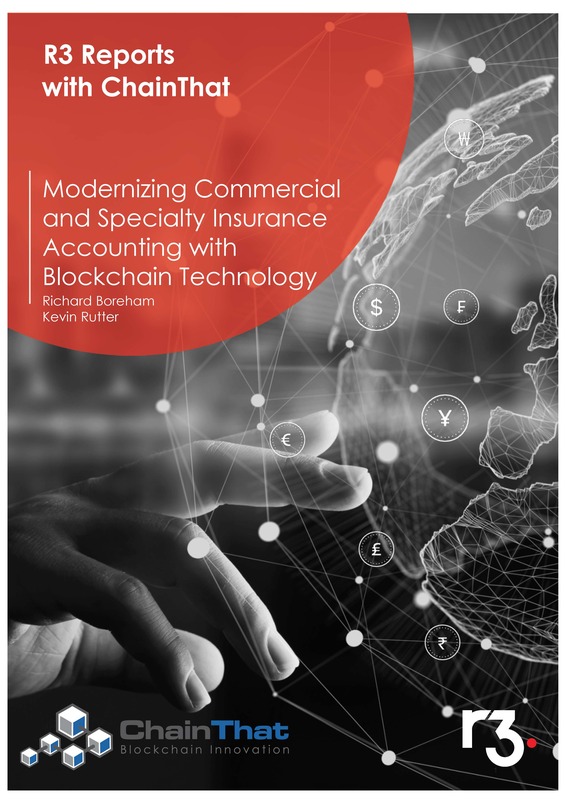 This whitepaper is suitable for business readers who wish to understand some of the complexities in the Accounting and Settlement processes of this sector or technical architects who need to understand how particular blockchain platforms provide value within insurance. This paper explores how central bank digital money might be designed. It uses Fedcoin – a conceptual form of Central Bank-issued Digital Currency – to describe the challenges of establishing a stable cryptocurrency, consider whether the public should have access to central bank money, and discuss technical considerations. As blockchain technology continues to develop, the concepts of privacy and confidentiality has emerged as key concerns. This paper first analyses current technologies and protocols that enable confidentiality and privacy, and then consider the advantages and disadvantages of certain design choices. Identity information has traditionally been captured on the individual level, and is limited to what is known of a person. This paper explains that the real value of identity comes from the relationships that can be examined and recorded between any number of persons, and not from information known of a single person. The “Financial Identity Trilemma Syndrome” arises from the conflict between the three motivators of identity – compliance, security and customer service, and has the potential to shrink the customer base of banks. The paper further explains the importance of context on identity, pinpoints sources of unreliable identity data, and discusses the importance of a feedback loop that ensures the quality of identity information. Describes different objectives and architectures for wholesale and retail domestic DLT solutions. Specifically, the paper compares JP Koning’s Fedcoin concept with the CAD-coin prototype of Project Jasper, a collaborative effort between six Canadian commercial banks, Bank of Canada, Payments Canada, and R3. Rising regulatory and compliance costs have led financial institutions to seek solutions using new technologies. This paper considers the role DLT can play in financial compliance and discusses how R3’s Corda handles transaction reporting for OTC derivatives. Distributed ledger technology has features that enables applications that could address the correspondent banking problem. This paper looks at global de-risking and suggests that the creation of a global correspondent utility for correspondent banks and a linked KYC registry for individuals and businesses can effectively reintegrate excluded entities into the financial system, and improve government oversight of their activities. A hybrid approach can facilitate the adoption of production-quality DLT in capital markets. By applying DLT alongside more established technologies, DLT is more likely to meet the banking sector’s requirements on procurement, security and data privacy for capital markets use cases. Before broad adoption is feasible, DLT platforms will require technical improvements in governance, interoperability, scalability, privacy, and usability. This paper explores the problems and suggests solutions to each. Central clearing counterparties in derivatives markets play an important role in financial system resiliency. This paper explores the implications of DLT for risk reduction and efficiency improvements. It shows that DLT can both improve account management as well as act as a platform for interaction. Click each title below to read the abstracts for private papers, which are available exclusively to our members. In order to evaluate how the asset lifecycle for different assets could be managed through smart contracts, this whitepaper considers the support of financial assets on distributed ledgers. The paper concludes that DLT can be a catalyst for a fundamental re-engineering of the post-trade space. How can banks evaluate the applicability of DLT? This paper uses an industry business case model to help banks to balance the challenges with the expected benefits of DLT. It evaluates the impact on market participants and surveys the ways that banks could adopt the technology. This whitepaper covers how money is represented on distributed ledgers. Money-related use-cases are used to summarize business and technical considerations. The paper also explores lessons from crypto-currencies, evaluates their short-comings, and outlines considerations for central banks. Different use cases require different ledger constructs and consensus mechanisms. After broadly categorizing existing platforms by key characteristics, this paper assesses each category against the requirements of financial services use cases. The analysis concludes that the UTXO model provides the best fit for the financial services industry across many use cases. From a data architecture standpoint, the design of smart contracts can on take various forms. This is in part because there is currently no formal guidance from regulators or industry bodies regarding the legal frameworks surrounding distributed ledger technology. This whitepaper sets out the questions on which guidance is needed. 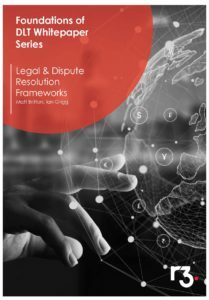 Firms are concerned that parallel experiments across different DLT platforms could result in fragmentation, leading to increased costs and risk. After exploring interoperability among different distributed ledger platforms and existing systems, the authors propose an ecosystem of ledgers that can be used within and between institutions. Smart contracts are one of the foundations of DLT for financial services. This paper defines some of the key concepts of smart contracts as well as a set of principles and goals needed for adoption. It starts by defining smart contracts, and then considers how they may evolve in financial industry use cases. Distributed ledger technology is part of a holistic new approach to identity management, which also involves regulators and legislators. This paper explores the use of distributed ledger technology (DLT) to meet the identity information needs of interactions between banks and their customers, and also includes high-level requirements for identity as it relates to shared ledgers. Non-functional issues with blockchain adoption include scalability, security, availability, and privacy among others. This paper walks through some of the major non-functional barriers to adoption and raises issues that will need to be resolved in these areas before large-scale DLT can be deployed in the financial industry. Manual processing alongside increasing attention from regulators makes collateral management an ideal use case for DLT. Using a business lens, this paper proposes a model for how DLT could automate variation margin and initial margin calculations, and considers how the principles can be applied across the cleared derivatives world. Oracles provide authoritative ‘off-ledger’ information to distributed ledgers. This is a critical service to financial institutions. After exploring 6 key industry use cases, the authors consider the implications of oracles on existing business models and potential new business models that may emerge. This paper defines identity management for financial actors and entities on a distributed or shared ledger, describes key terms and definitions, reviews challenges of identity systems and categorizes the relevant identity-related companies in the startup and utility landscape. The COIN ETF could negatively impact certain regulatory frameworks and the financial in-dustry. This paper evaluates the COIN ETF, and discusses the potential risks surrounding it. It also includes answers to the questions posed by the SEC regarding the COIN ETF. Reusing legacy code assets will be a faster, cheaper and less risky path to develop smart con-tracts, instead of attempting to develop smart contracts “from scratch.” This approach would leverage code bases built under existing regulation and, as a result, be less subject to regulatory scrutiny than entirely new code development. Comparing foreign exchange (currency) markets with the cryptocurrency markets provides useful context in the behaviour of cryptocurrencies. This paper evaluates the two markets across multiple topics, and also discusses the directional risks on market participants. Financial institutions can mutualize the costs of non-competitive business capabilities by using distributed ledger technology. This paper explores the benefits of building an authoritative systems-of-records at the market level across different asset classes through a shared service utility. Personalization of financial services is one area where the insurance industry is likely to see blockchain disruption. Quantumization of insurance products is one way that this can happen. This paper compares the underlying structure of the insurance process with the state management focus of Corda to explore how to achieve the world of connected insurance. An introduction to the credit creation system and commercial bank money. This evaluates the impact of both cryptocurrencies and central bank-issued digital currency regimes on monetary policy. Initial design of central bank-issued digital currencies is likely to be designed for limited impact on domestic money supply. Since the launch of Ethereum, more than 100 applications have emerged for different use cases. The author first provides context for the design trade-offs of Ethereum, and then discusses the potential interaction between public and private blockchains. Finally, he evaluates the suitability of applications for Ethereum across a range of themes, and pro-vides key recommendations for each theme. Token crowdsales are funding tools that companies use to raise capital by issuing and selling a native cryptocurrency. This paper discusses the common structure of such offerings, the risks associated, and provides specific examples of fraud. An introduction to new payments technology. This paper covers central bank retail and whole-sale payments, international correspondent banking, and remittances. It includes a summary of incumbent systems, the emerging competition across the payments ecosystem, and the implications for banks. Initial coin offerings (ICOs) is the practice of selling digital tokens to raise capital for cryptocurrency-related projects. This paper explains the structure of an ICO by focusing on features and risks, and also explores how ICOs may be evaluated by regulators and which laws are applicable.